Alumni, students, parents, employees and friends of St. Cloud State can purchase a brick as a permanent legacy here at Husky Plaza. St. 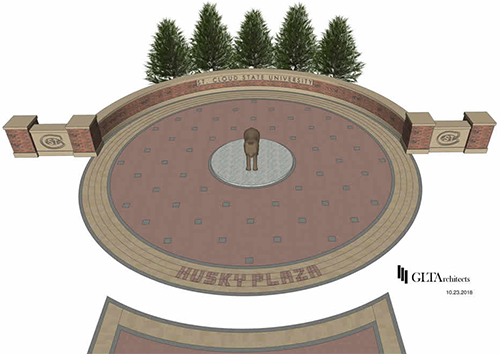 Cloud State’s newest gathering space — which features inscribed bricks, a curved wall and a bronze sculpture of a Husky dog — begins construction north of Centennial Hall in July. Enter the text that you would like printed on your brick.